The University of Southampton’s research is included in a new report showing the impact of universities’ research and sport development on the Olympic and Paralympic Games, and UK sport generally. The report has been released as part of Universities Week (30 April – 7 May) which aims to increase public awareness of the wide and varied role of the UK’s universities. Download the report. The report, ‘Supporting a UK success story: The impact of university research and sport development’, highlights just some of the many ways in which research has helped Team GB limber up and prepare for London 2012. 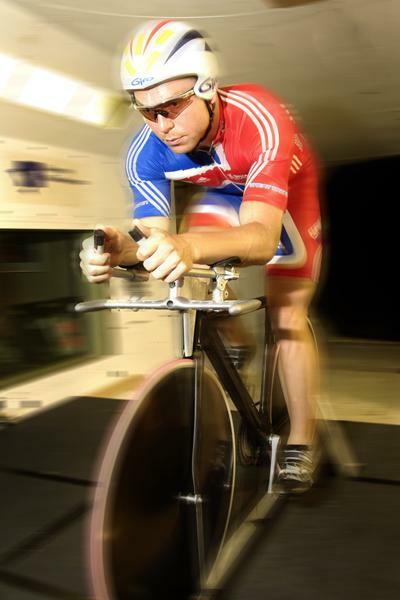 Three projects involving the University of Southampton are featured in the report - the University’s Performance Sports Engineering Laboratory and it's work with UK Sport and British athletes; Project SwimSIM, which is a research project to develop a new system for analysing swimming performance; and the development of a new biomarker test for drug testing. It highlights how research taking place at universities across the UK, including Southampton, is helping to give athletes that extra split second or millimetre advantage which can mean the difference between gold and silver medals in competitive sports. The report takes an in-depth look at how exploration and development in the areas of technology, health and wellbeing, design, sport development and participation and the Games past and present, have contributed to London 2012 and the UK sports industry. Professor Don Nutbeam, Vice-Chancellor of the University of Southampton, says: “Universities Week 2012 is an excellent opportunity to showcase some of the fantastic work universities are contributing to the world of sport, which is especially apt with the Games taking place this year. From the science behind athlete hydration to the regeneration of East London, home to the Olympic Park, the report takes a journey through the research and sports development that sits behind the lasting impact of London 2012 on the UK. Throughout the report, issues of endurance sit side by side with examples of urban regeneration and the history of sports medicine to demonstrate the diverse ways in which the whole of UK society benefits from the work of universities linked to the Olympic and Paralympic Games. This year, the week includes a series of high profile ambassadors, including broadcaster and Southampton graduate John Inverdale, helping to highlight how universities benefit everyone, whether or not they have been to university themselves. Hear what John has to say here.